Celebrate the end of long hot summer with the September 2018 Biblical Studies Carnival hosted by Jim West, the Grand Poobah of Biblio-blogging. Jim has hosted many carnivals and often has focused on some particular issue or theme. 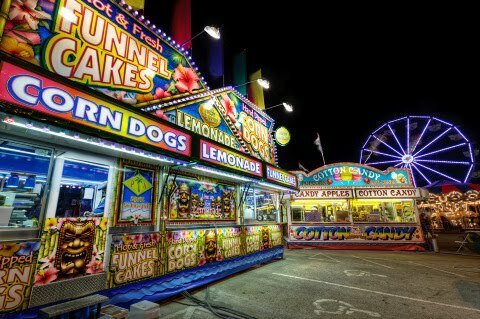 Not sure what he has planned for this carnival, but he is asking for readers to send him nominations for the best and brightest blog posts on biblical or theological topics, biblical languages, Church history, archaeology, or anything else you think worthy of inclusion in this Month’s carnival. Contact him on Zwinglius Redivivus or direct message him on Twitter @drjewest, or you can try his FaceBook group, Biblical Studies Discussion List. He may have Pinterest and Etsy account as well. Looking ahead to the last few months of the year, Jacob Prahlow @prahlowjacob hosts in October 2018 (Due November 1) at Pursuing Veritas. Bob MacDonald @drmacdonald will host in November 2018 (Due December 1) at Dust. I am sure they would appreciate some help as their carnival time draws close. At this point I have no one for December 2018 (Due January 1) and the 2019 carnival schedule completely open. I would like to have a volunteer for December and start filling in the 2019 schedule. If you are a new blogger, hosting a carnival is a great way to get some exposure. I would also like to see some veterans host again. Contact me via email plong42@gmail.com, or DM on Twitter @plong42 or leave a comment here and I can contact you. I don’t have p interest or et sy.